With busy work schedules and family life, many people don’t have enough time in their day to put in a full workout at the gym. If you fall into that category don’t worry; you can still maintain a regular fitness routine without having to head to the gym. Walking is a convenient exercise that requires no equipment and produces many physical and mental health benefits. Plus, you can walk anywhere and anytime, such as during your lunch break. Lowers your risk for disease – Walking regularly can reduce your risk for developing various diseases, including type 2 diabetes, heart disease, asthma and some cancers. 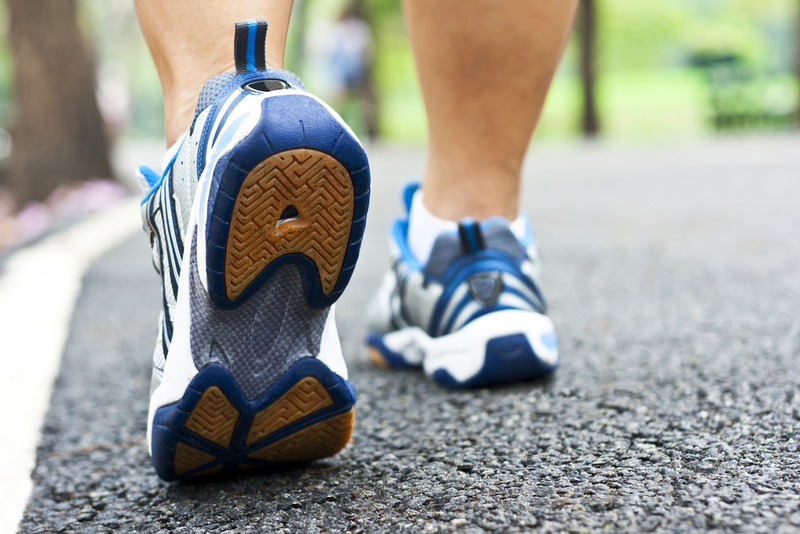 Walking can also help lower your risk for heart attack and stroke. Reduces stress – Walking lets you remove yourself from the stressful circumstances of everyday life. Walking outside, especially, moves your focus to other things and makes you feel more calm and relaxed. Strengthens bones – Walking is a weight-bearing activity that strengthens bones and increases bone density. In doing so, the exercise helps you maintain healthy joints and ward off conditions like arthritis and osteoporosis. Walking can also be tolerated by people with arthritis and osteoporosis and help them improve their condition. Aids weight loss – While you won’t shed your unwanted pounds over night, when paired with a healthy diet walking can help you lose weight. Walking for 30 minutes at a brisk pace burns about 200 calories. After about 3 or 4 weeks of power walking, you’ll begin to notice a slimmer, more toned physique. Gives you energy – Believe it or not, but a brisk walk actually makes you more energized. Walking improves circulation and increases oxygen supply to the cells in your body, making you feel more alert and energized. It also makes you feel less sluggish by awakening joints and lessening muscle tension. Going for a brisk walk in the morning could be just what you need to kick off your day.